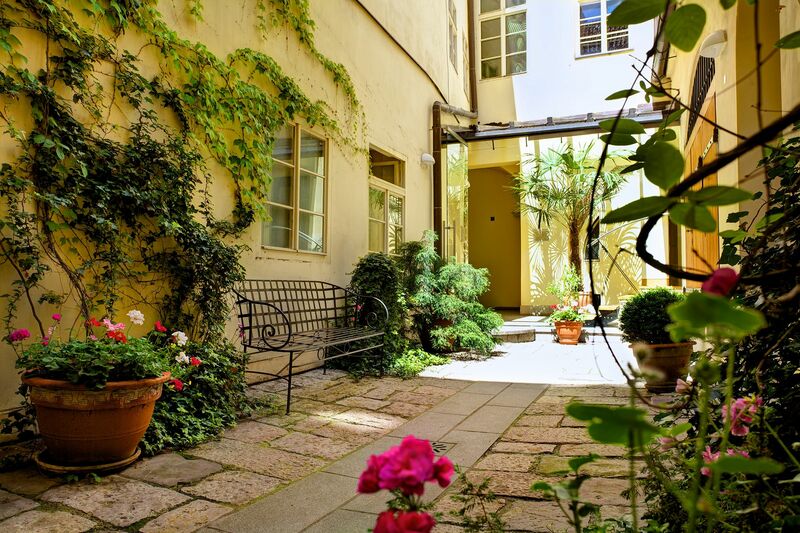 The Prague Apartments U Kapra consist of two separate, wonderfully renovated Prague apartment buildings that are both located in the center of the charming and sought after Old Town neighborhood. 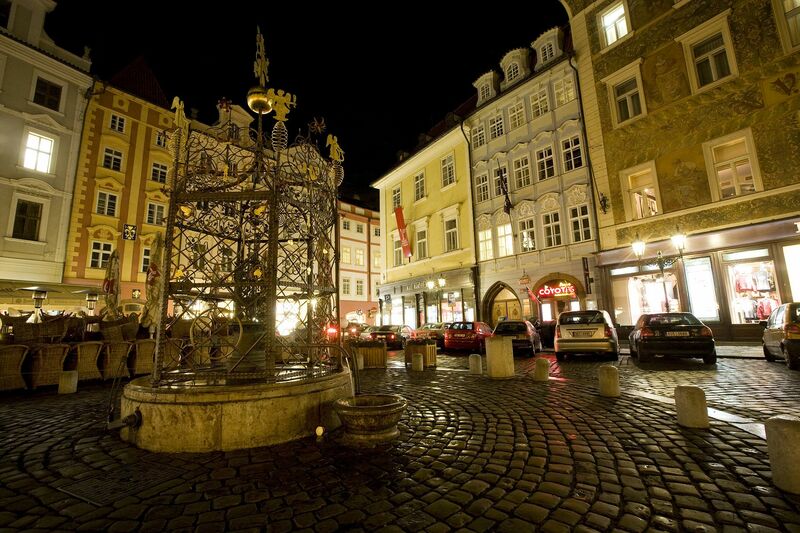 The complexes that are situated across the road from each other and just steps from Old Town Square, boast unforgettable Old World charm together with modern amenities and fittings. 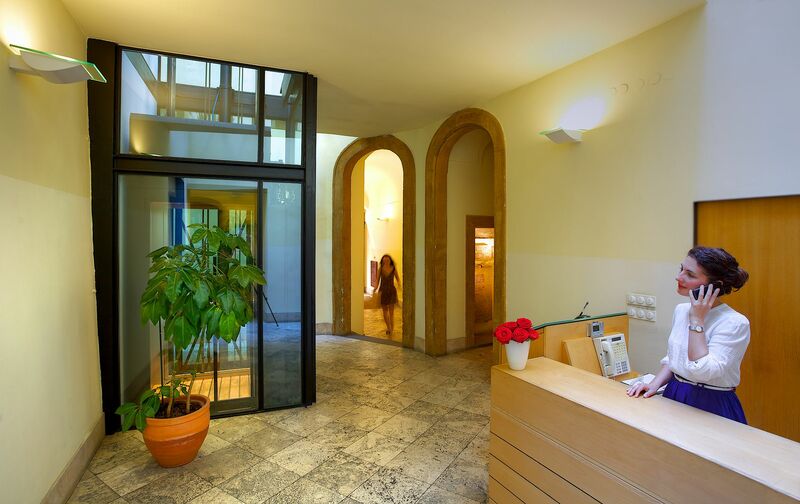 Fourteen design units are located in the U Kapra building; nine of which are air-conditioned (Charming, Chateau, Charming Deluxe, Lovely, Old Town Deluxe, Old Town Suite, Romantic, Sunlit, Vault), while five are without air-conditioning (Contemporary, Cozy, Elegant, Old Town Royal and Superior). 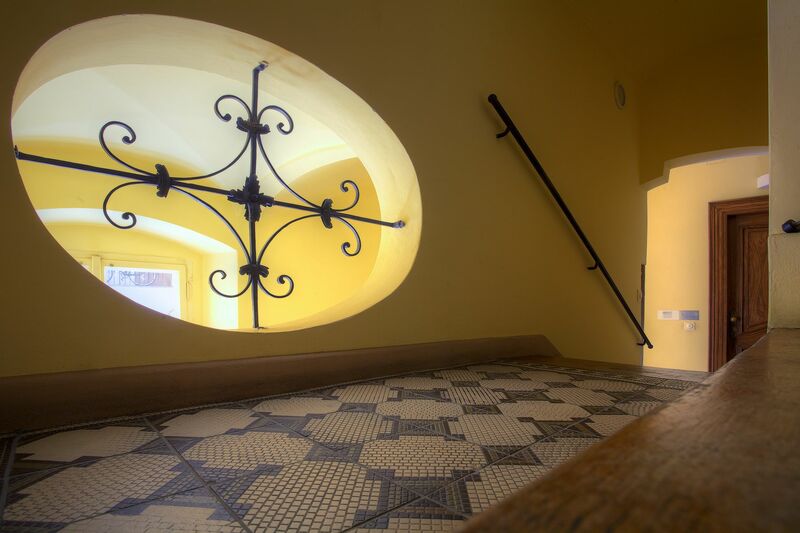 The Ericsson Palace building has three air-conditioned units (Old Town Attic, Maisonette Terrace, and Loft Bedroom). Amenities include 24-hour reception, free Wi-Fi Internet, lift (only for specific apartments, please see individual descriptions), satellite TV, home theater system, air-conditioning in specific apartments (Old Town Deluxe, Chateau, Charming, Lovely, Charming Deluxe, Romantic, Old Town Suite, Vault, Sunlit, Old Town Attic, Maisonette Terrace, and Loft Bedroom), washing machine, and much more. The price includes weekly cleaning, full linen and towels. 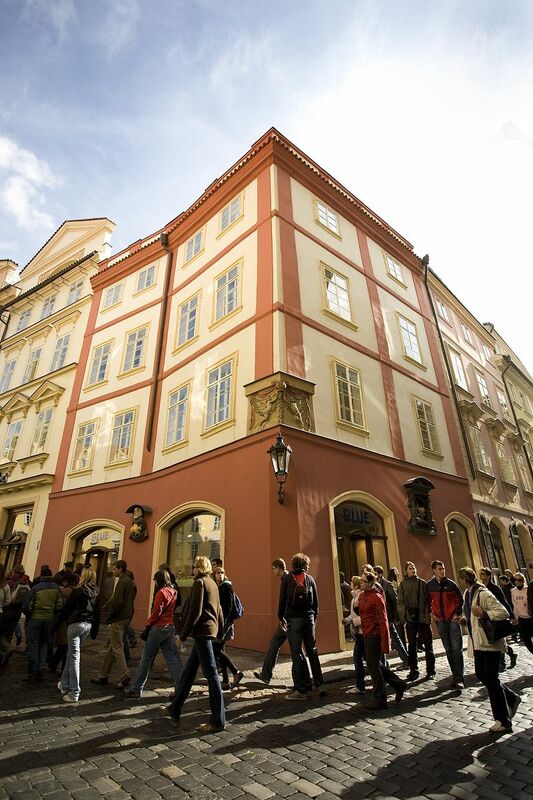 The U Kapra apartment buildings are located in the center of Prague's Old Town, just off the corner of Malé náměstí Square and on charming Karlova Street, a winding pedestrian lane made of cobblestones that conveniently connects Old Town Square and Malé náměstí to the world famous Charles Bridge. The buildings are conveniently located across the street from each other. 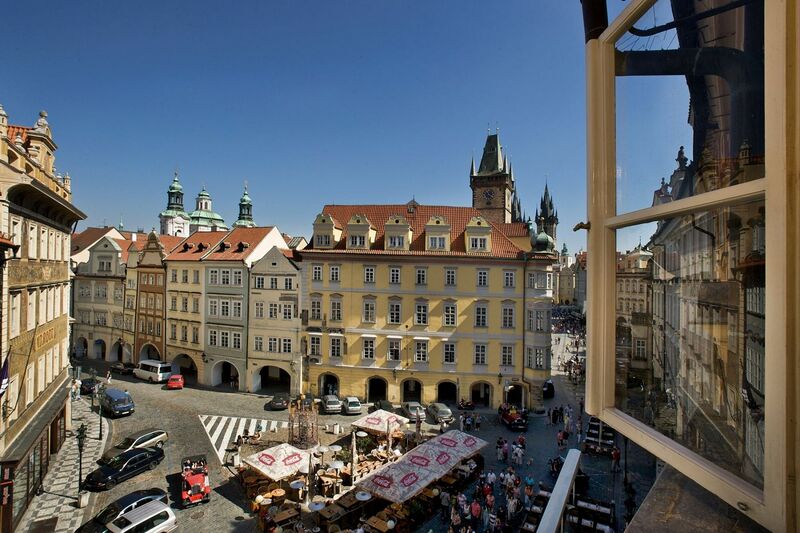 The Old Town neighborhood is characterized by grand Prague monuments, majestic churches and squares, interesting museums, boutique shops, hidden courtyard cafes and restaurants, atmospheric cellar bars, beer halls, etc. 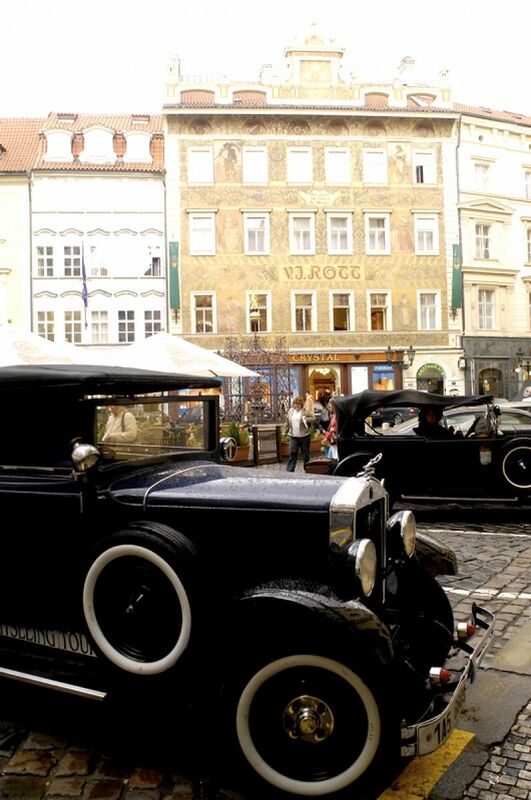 The majority of Prague's sights are within comfortable walking distance from the Prague U Kapra Apartments. This UNESCO-protected gem features 24-hour reception, free Wi-Fi Internet, a lift and quiet common areas. 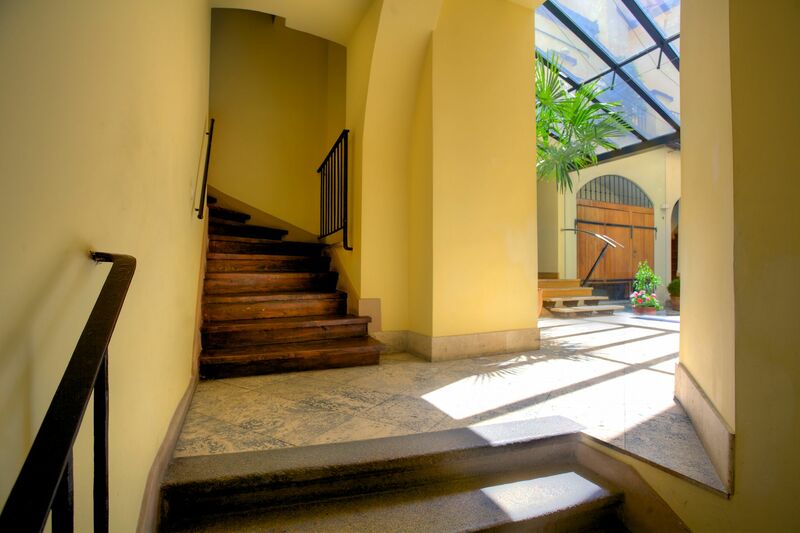 Dating back to 1403 the building features beautiful architecture elements such as exposed wooden ceiling beams, painted ceilings, custom fittings and more. Each apartment in the U Kapra building displays its own unique character, which is enhanced by stylish design furnishings and modern amenities. The gorgeously restored Ericsson Palace is centuries old and boasts a gilded entry hall with a 24-hour reception desk; free Wi-Fi and a lift complete the space. 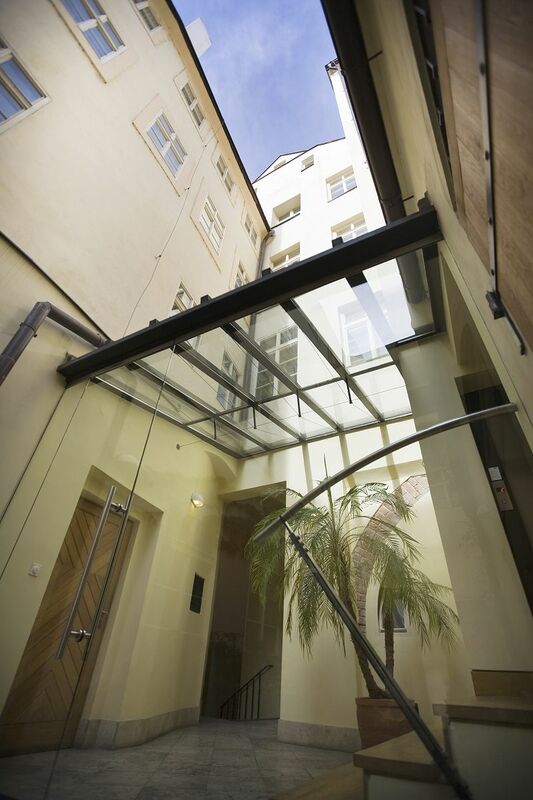 This lovely structure offers quiet air-conditioned accommodation in the heart of Prague in attractive apartments that all boast their own unique character and charm, all with modern amenities and design furnishings.